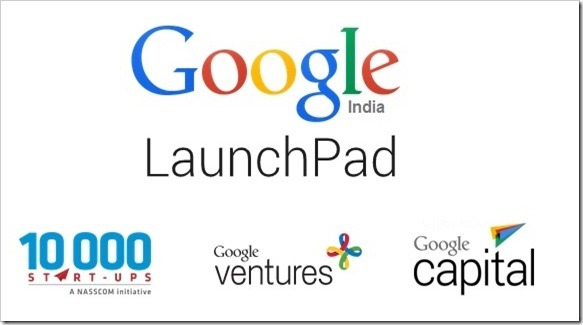 For the first time in its history, Google will be providing direct mentorship and guidance to 25 Indian startups via their 5 day event called Launchpad, which will be happening during the first week of November. As per reports coming in, founders of these 25 lucky startups would be housed in Google India’s Bangalore office where Google employees from all over the world will share their expertise and experience with them. Every aspect of entrepreneurship right from conceptualizing ideas, design, user experience, sales and marketing and business development would be discussed and shared during this event. Sunil Rao, country head of startup ecosystem at Google India said, “It will be a first of its kind in Asia. It may then be rolled out to places like Tokyo,”. Earlier, Google had initiated similar program in Brazil, where they received encouraging response. In Israel, Google is already running LaunchPad, wherein startup founders receive one week of one to one mentoring and coaching on each of the topics. As per Google executives, the whole focus of this program is not to buy out companies later, but to provide expert advice and guidance which helps them to prosper. Startups can apply for this program here. 10000 Startups: NASSCOM’s unique initiative: “10000 Startups” is being sponsored by Google, wherein they pick early and growth stage tech startups and help them to scale up. In fact, this Launchpad event is being organized in association with NASSCOM itself. Google Ventures: In 2009, Google Ventures was created with a capital of $100 million with the intention of providing seed, venture and growth stage funding for tech startups. Right now it manages $1.5 billion worth of capital fund. As of now, Google Ventures hasn’t invested in any Indian company. Google Capital: This is a growth equity arm of Google which has recently invested in one Indian startup: Freshdesk, which is based in Chennai. This is the only investment which Google Ventures has done in India till date. LaunchPad can prove to be a huge leap for Indian startup industry. Google, which itself was a startup once upon a time, can provide some real value added suggestions and tips of the trade for early stage Indian startups, and this is a step in the right direction. Did Nexus Changed LG’s Perception In The Market?